The permanent Secretary Kogi State Ministry of Agriculture, Mr. Idenyi Emmanuel Samson has assured of the ministry’s readiness in collaborating with relevant bodies towards the sustainability and enhancement of agricultural growth in the State. Mr. Idenyi gave the assurance during an advocacy visit to his office by members of Kogi State Public Financing of Agriculture, collaborating NGOs and the media. 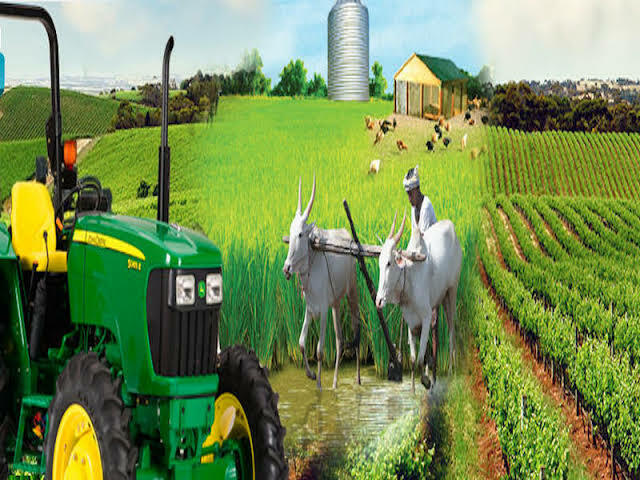 According to him, agriculture is supposed to serve as the mainstream of Nigeria economy, while noting that oil is an exhaustible commodity that must not be relied on, as agriculture keeps appreciating at all times. On the issue of poor budgetary provision for the Agric Ministry, Mr. Idenyi lauded the government of the day for its support in the area of funds, and pointed out that it has outgrown the percentage of past administration in the area of funding. He, however, assured the delegates that the ministry, through the ever- supporting Commissioner, Hon. Oloruntoba Kehinde is putting measures in place towards improving on the statistic of last year to further serve the ministry better. He further assured that there are plans for youths and women in the state in the area of capacity building, as arrangement, he revealed, has been made to link them to agricultural agencies for empowerment. Speaking on the advocacy visit, the Chairman of Kogi State Public Funding of Agriculture, Mr. Mathias Okpanachi, stated that the visit to the ministry became imperative following the observed trend of poor release of budgeted funds for the agriculture sector. He emphasized that the poor release of funds is similar to what has been obtained in previous budget circles despite the general acknowledgement by all of the need for increase spending to the agriculture sector particularly to meet up with the minimum 10% spending benchmark stipulated in Maputo declaration. Mr. Mathias further noted that the visit seeks to find out from the ministry areas of possible collaboration and synergy between the PFA budget committee and Kogi State Ministry of Agriculture towards improved release of budgeting allocations to areas that have direct impact on the farmers in general and smallholder women farmers. After a careful analysis of the approved 2019 Kogi State Agriculture budget, the PFA Budget Committee highlighted key items in the budget for prioritization in the area of funds release, this include: Procurement of Agricultural inputs, Women in Agriculture, Kogi State ADP, Mini Milling processing machine for rural farmers, Green Housing Farming System, FADAMA counterpart funding, provision of extension, commercial, technical services and infrastructural development. In their separate remarks, the Executive Director PIBCID, Mrs. Gift Omoniwa, Representative from SWOFON, YAWHEP, ACTION AID, INGRA, IDPC, LYDEI, FEPFL and LUCAF expressed readiness in helping with a lasting work plan that would help correct the issue of poor budget funding and as well meet with necessary stakeholders in facilitating the process.